I know it’s been a long time since I last reported. A horrible winter that affected me badly. However, I can report more on pubs mentioned before. To start with one that I have mentioned a few times before. The Golden Fleece still claims to be “To Let”, but it has been gutted, and all the signs have been removed. Strong rumour, reported in the local press is that it will become a Tesco Local, despite national press claims that they will not be developing many sites due to current trading conditions. Personally, I think Tescos already dominate in the town, why not, say, Sainsburys? But for a re-use of this building, it is a good idea to become a Supermarket-lite. It’s a large building, with large car-park and good access to the car park. More importantly, it’s surrounded by houses and housing estates, yet no other shop for a least a mile, so if ever there was a good place for such a supermarket-lite, this would be one. 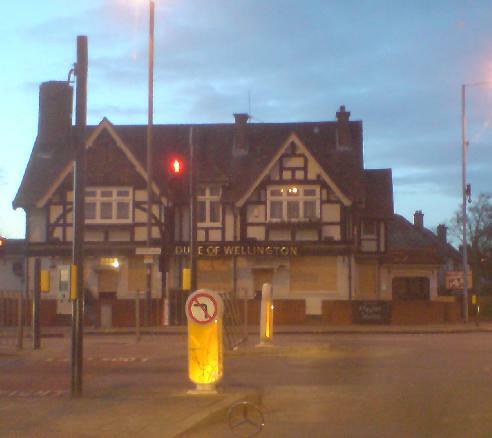 All to many other times – the ex-Green Man, for example – they are established within a short walking distance of an existing supermarket, be it of the smaller national chains such as Spar, Budgens or Co-op, or indeed one-off locally owned. 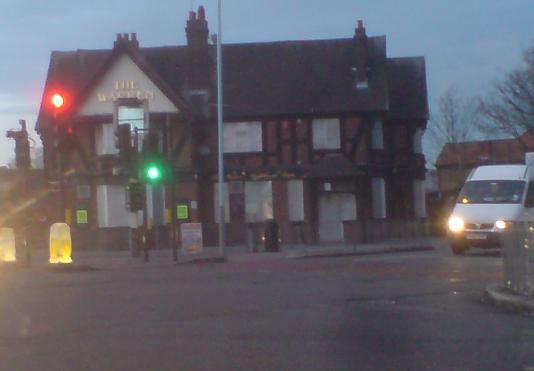 Next, I mentioned in the case of the Golden Fleece, a nearby pub, the Terriers. 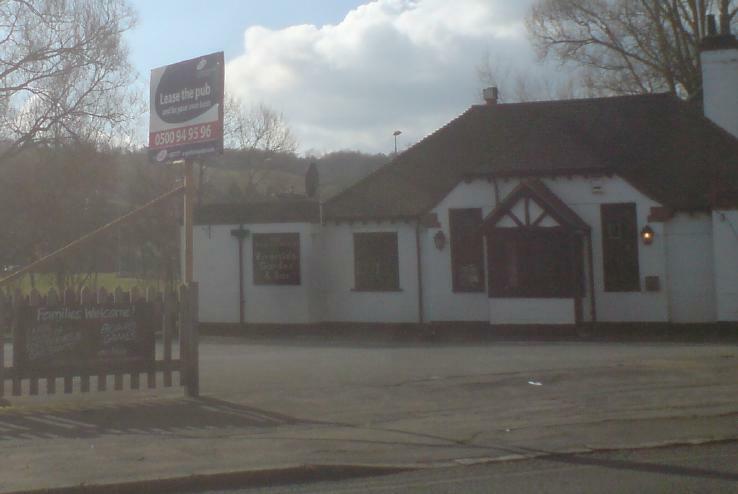 Well, after that relatively recent refit, and another pparent change of ownership, this has now closed. I’m told it will become a Vet’s practice. Also mentioned at that time were The Dolphin and The Wanderer. These two are well separated, and apparently are still surviving, even if only open some of the time. I mentioned some time ago that the George V was looking for a new tenant. Well, the signs for yet another new tenant are up again. Promising a refit as part of the deal, I note, and apparently a different pubco (or at least, a different trading name). There are others that I notice as I drive around, but often I’ve not noticed their “decline”, so I won’t mention here today. I know, I know. Poor blogger or what.. The earliest I’ve walked by the Thames is 04:00. In August I discovered where Bats would fool around (a dark spot), and even tried taking flash photos, to no effect. Some days I manage to sleep through, more or less, but the majority of the days have had me walking by the Thames pre dawn (since the last entry). There was also a high tide that left me trapped on a bench surrounded by 4 inches of water over the footpath for perhaps an hour. Photos to be posted. Only once have I come across a homeless person, but during the warmest period, I admit I had considered the idea of taking a sleeping bag and sleeping out for the night in some quiet nook (I did not find one quiet enough). This morning, by Richmond Riverside, there was a young fox (I guess this year’s cub), who often got to within 6′ of me, only to be put off by my scent. I’d never seen a fox there before (I guess normally the Canada Geese keep them away), although foxes can be seen even in the middle of the afternoon in the garden of the garden flat of this block. The last two rehersals had me almost falling asleep while singing. I’ve never had this type of problem before, and reminds me of Arthur Lowe (most famous from Dad’s Army) who suffered from narcoleptsy – i.e. would fall asleep with no warning.